produces a mould quality and component finish unmatched by any other, in turn producing some of the best oil seals. mostly made for the most intricate mould cross section’s for a premium client of ours. 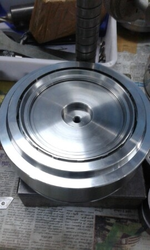 Assuring a certain quality supervision system, our firm is working in making available a top class SS Oil Seal Mould and delivered in recommended time frame. We take pleasure in introducing ourselves as leading firm by offering Oil Seal Mould. we are manufacturing high quality of Rubber Oil Seal Mould.we use high quality material such as MS, OHNS, WPS, P 20 etc as per requirement. 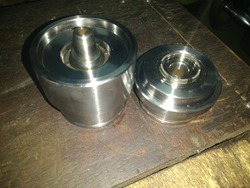 we manufacture this product on CNC MACHINE as well as LATHE MACHINE as per requirement.